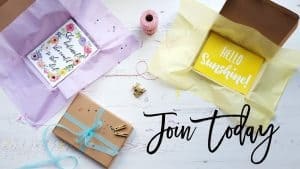 I can’t believe that the year is almost over and that it is time for the final subscription boxes of 2017! 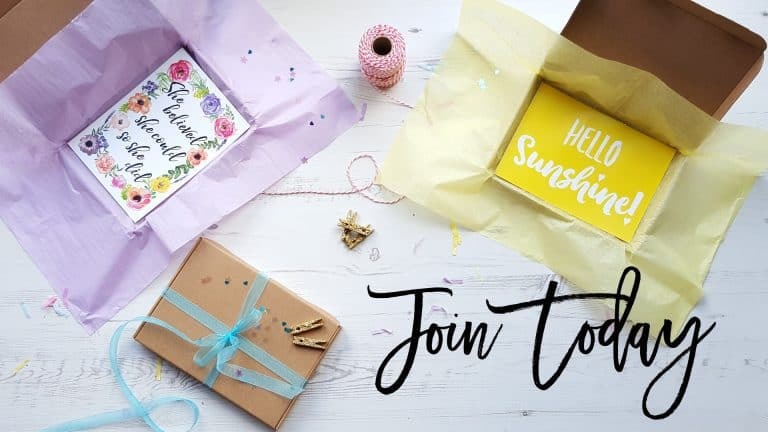 It has been a fantastic year for subscription boxes and I’ve been able to try so many. One of my consistent favourites has to be Treatbox. 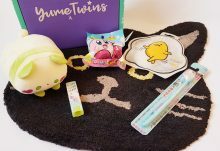 Their boxes have been so wonderfully put together every month and I’m always happy with the items. 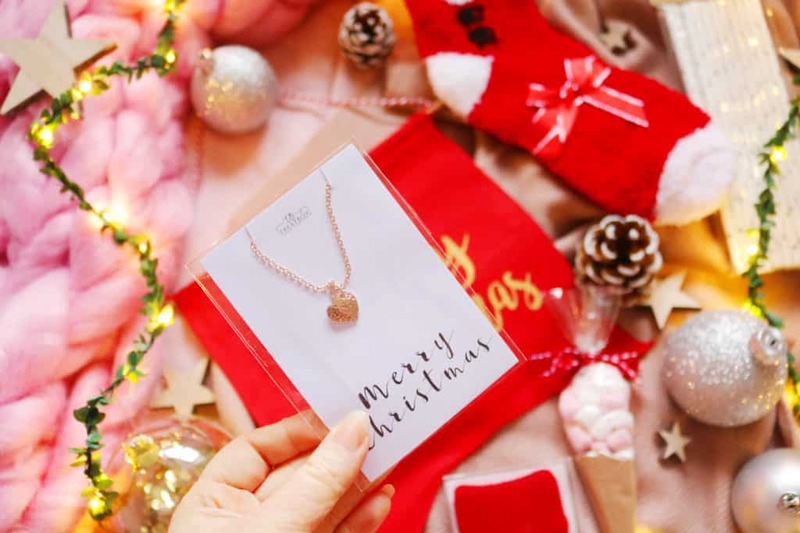 Let’s start with one of the cutest items in the box this month and that is the rose gold plated heart necklace which is so adorable, especially on the Merry Christmas backing. I love the worn, hammered effect on the heart as it makes the necklace even more shiny and a little more unique. 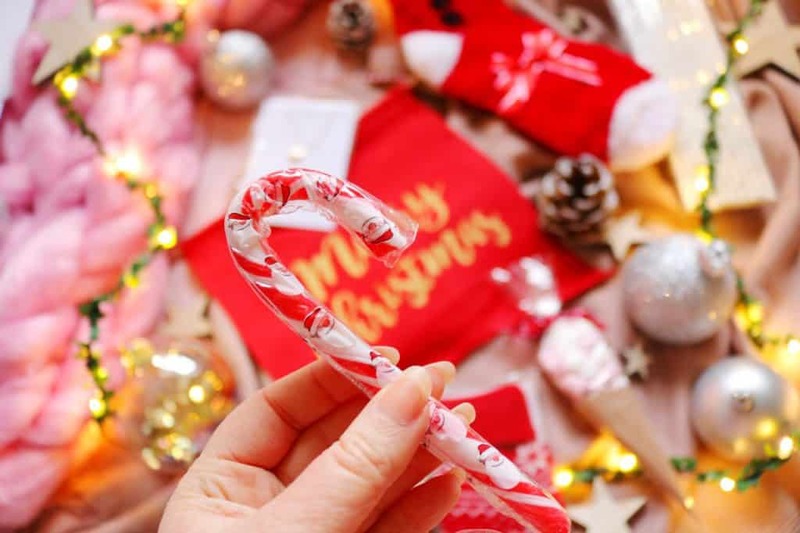 Sticking with the sweet theme, we have a little candy cane in the box this month which is perfect for Christmas. I’ve never actually tried a candy cane before so maybe I will this year as a christmassy sweet treat. 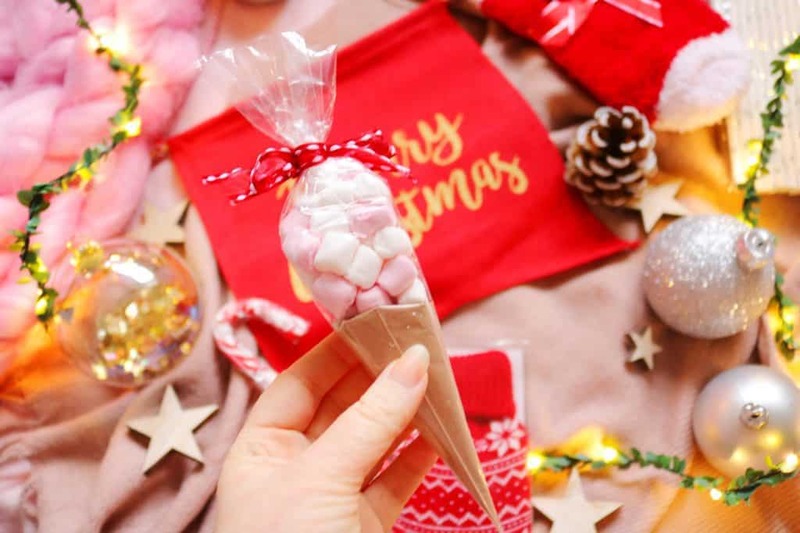 Another sweet treat is this festive hot chocolate set complete with mini marshmallows! Sadly as a vegetarian, I can’t eat marshmallows as they contain gelatine so I’ll be passing this onto my mum as she will love it! It’s a lovely idea for this christmassy box. 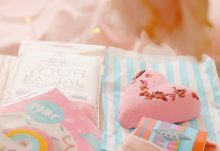 This next item has to be my favourite from the December box as it’s so unique and very festive. 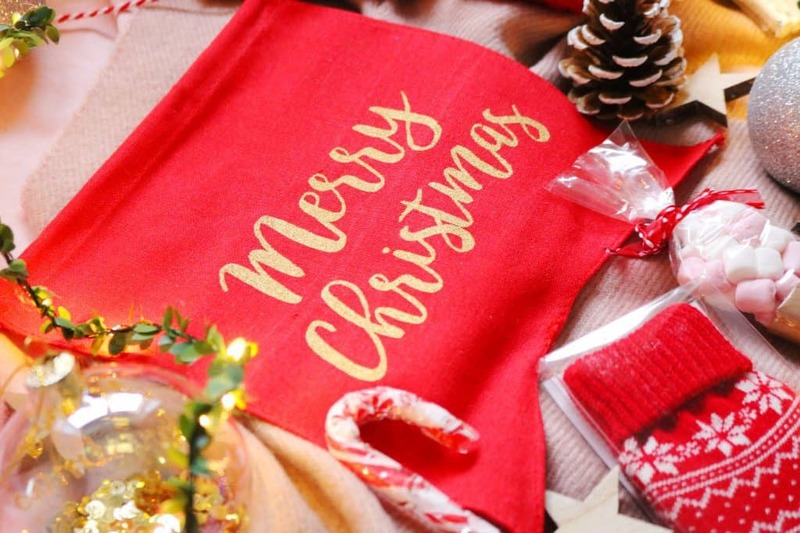 It is a festive flag that can be hung on door handles or on the mantelpiece. Mine says ‘merry Christmas’ but you could also received the ‘eat, drink and be merry’ version. Two recipe leaflets are included, both of which contain such adorable illustrations! 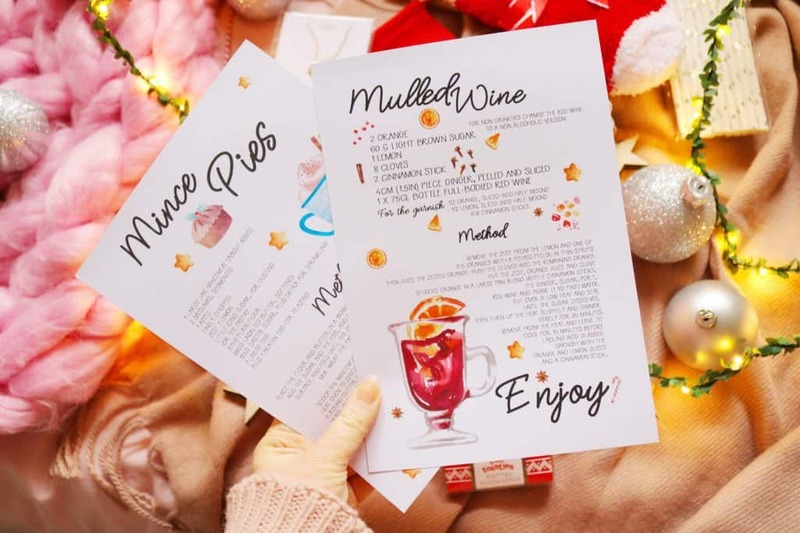 I have never made mulled wine or mince pies before so I will definitely be following these recipes. Both seem like quite quick and easy recipes so it might be a task for Christmas Eve or Boxing Day this year! Winter is almost here and we have already had a few snow days in the UK so it’s time to bundle up! One item that will be very useful with the upcoming chilly days ahead is the Tiny Toasties Knitted Hand Warmer which has a cute fairisle looking jumper on! It’s so cute and such a useful item to have in the box. The final two items are some of my favourites as well! 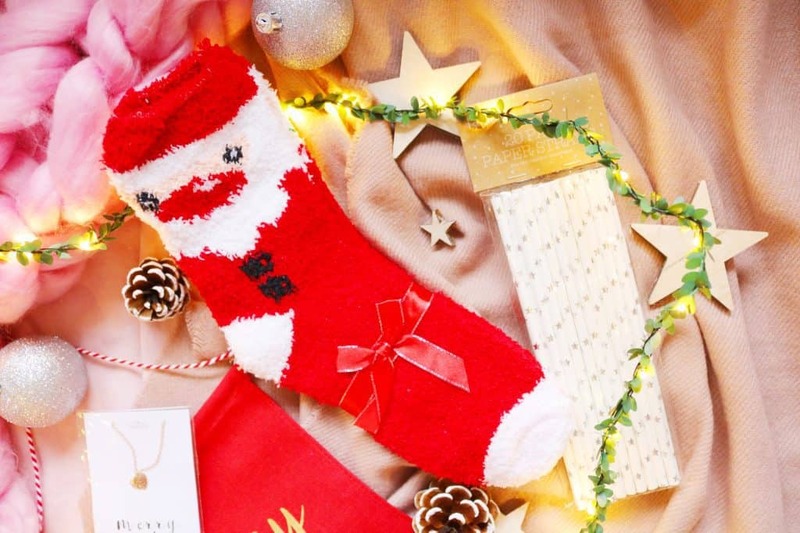 The penultimate item for the December Treatbox is a pair of incredibly cosy, festive santa socks that are so soft and warm. I received the santa design but there are four others that you might receive including a christmas pudding design! 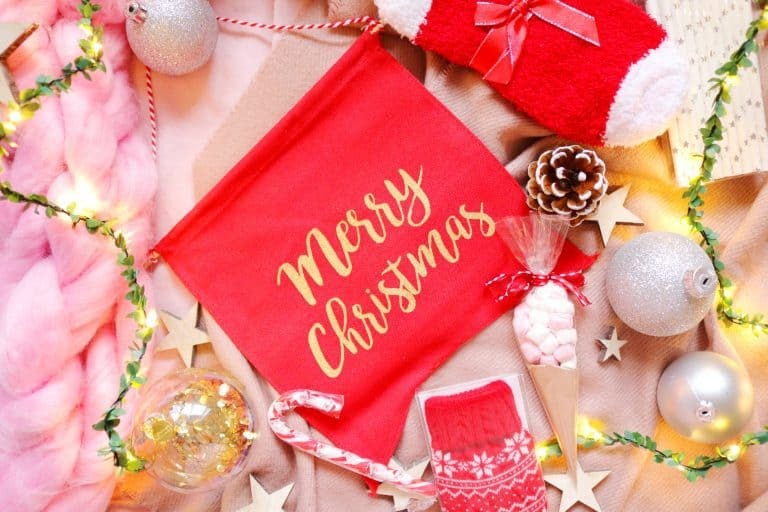 Last but not least is an item that would have been useful a couple of weeks ago when I was making festive mocktails as it is a pack of 20 paper straws with silver stars printed onto them. They would be fantastic additions to a festive hot chocolate or a christmassy cocktail or mocktail. Overall, I absolutely loved the final Treatbox for 2017! All of their boxes over the past few months have been so lovely, well put together and thoughtful. 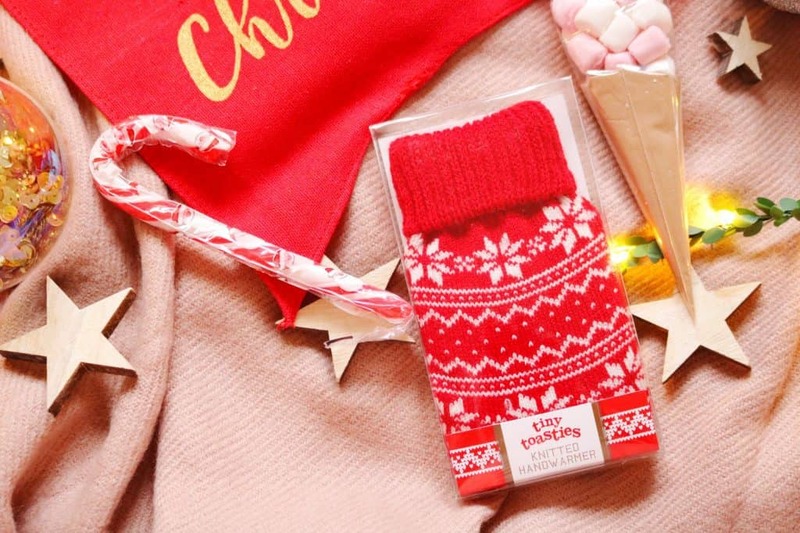 My favourite items from this box have to include the cosy socks, festive flag and the star straws!